In today’s digital era we’ve entered the age where empowered consumers are shaping the business strategy. Businesses are riding high on the consistent expectation of high-value in-person and digital experiences. 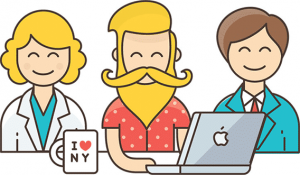 Poor user experience leads to fewer conversions. In such a scenario, customer experience and satisfaction becomes more crucial to businesses. How much can Google Analytics improve your user experience? 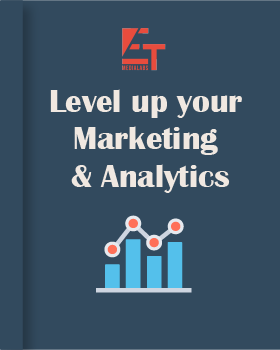 It is essential to analyze the on-site user behavior with analytics beyond the bounce rate to ascertain what features work on and can be improved. Here’s how you can leverage Google Analytics to optimize and enhance the user experience. Nearly 70% of consumers accept that page speed impacts their willingness to buy from an online retailer. Such as for pages that show high load times in certain browsers, you can investigate browser issues, and deliver pages more streamlined for those browsers. In case you find the average load time too high, you can determine the significance of the load time issue by exploring the spread across Page Load Time Buckets. Users frequently utilize a site’s search functionality to scan for things they’ve been found difficult to spot in the main navigation. Behavior > Site Search > Search Terms report. The % Search Exits metric can help to analyze user behavior, it tells you the percentage of searches in which the user left after searching instead of clicking any of the results pages. The higher the rate, the less satisfied the users are. Optimize for the key search terms to provide relevant results. The user flow helps in understanding the user motivation, tasks they are trying to achieve and the issues they are facing. It also helps in informing how the pages can be designed (or interlinked), and determine what content and navigational links to include. 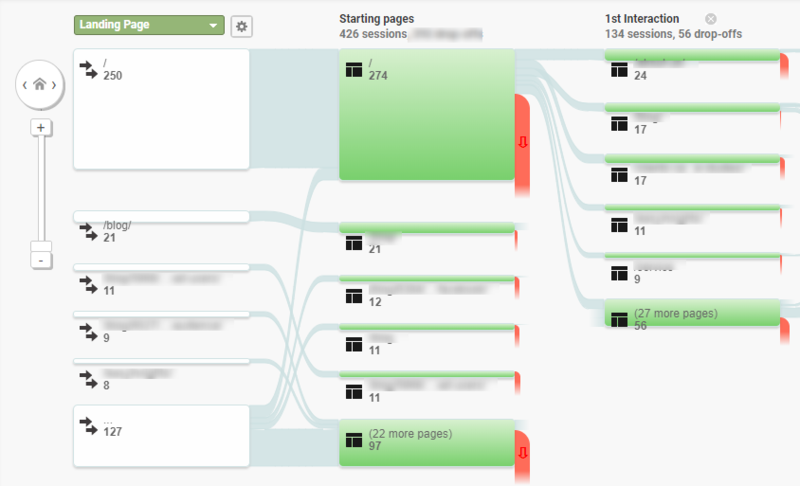 Using the Behavior Flow report, you can visualize the path users traveled from one page or Event to the next. Further, the report displays nodes, connections, and exits, which represent the flow of your traffic. The Behavior Flow report can help investigate how engaged users are with the content and to identify potential content issues. You can determine the value of the starting dimension such as Landing Page or Country/Territory, further tracking how many pages they interacted with and how many dropped off. Did users go right from product pages to checkout without any additional shopping? Is there an event that is always triggered first? Does it lead users to more events or more pages? Are there paths through your site that are more popular than others, and if so, are those the routes that you want users to follow? User experience is about delivering faster, more engaging experiences on every device. A 404, in this case, is an opportunity lost. While finding the 404 error can be tacky, you can always leverage this opportunity to redirect the user either to a page of your choice or corral them back to where they need to be. Tools like Screaming Frog and SEMRush can be used to identify the pages that return 404 error. 404 can increase your bounce rate and are not good for the health of the website otherwise too. The best ones maintain a friendly, helpful experience for the visitor. 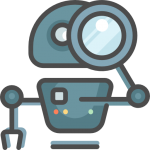 Redirection would extend for search engines and bots as well which look for related content on your website. Ideal situations are unrealistic. No site can be perfect, but they can be improved. Observing user behavior through analytical tools can enhance the user experience.